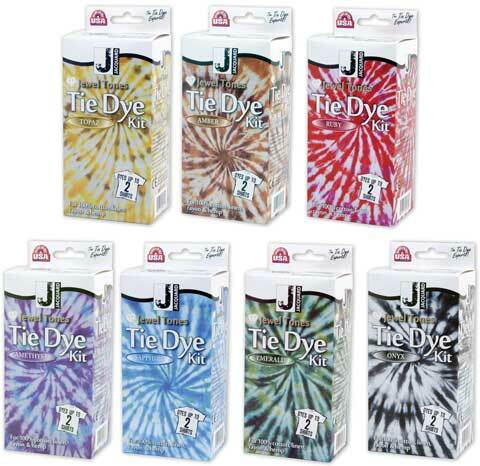 These tie-dye kits offer supplies for creating beautiful two-tone dyed pieces. The kit includes two bottles of pre-measured dye, 1/3 lb. soda ash dye fixer, vinyl gloves, rubber bands and written instructions with multiple folding techniques. For use with 100% cotton, linen, rayon and hemp fabrics. Dyes up to two shirts. For ages 8 and up.